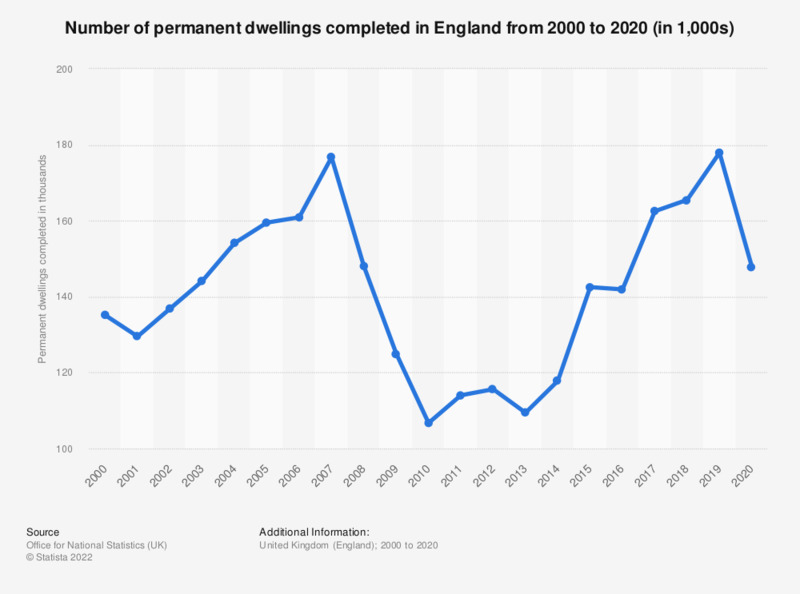 This statistic shows the number of permanent dwellings in England that were completed in each financial year from 2001-02 to 2017-18. Figures show that while the number of dwellings completed declined around the time of the global financial crisis, commencement numbers are on the increase again. Between 2017 and 2018 there were a total of approximately 160.2 thousand permanent dwelling completions in England. October 2005 to March 2007 in England are missing a small number of starts and completions that were inspected by independent approved inspectors.